Do you love golf? Are you just beginning to diversify your golf club collection? Golfing is an extremely popular sport now. People have taken up the sport after being interested in players like Tiger Woods. The game can be an exciting fight between man and natural settings. To any serious golf player, their clubs are the most important component of their game. 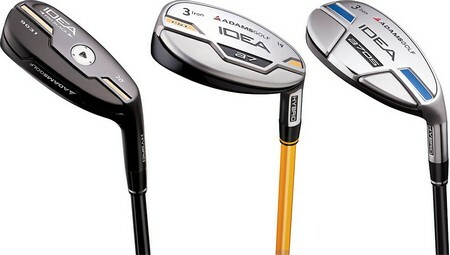 Manufacturers are now making hybrid versions of clubs to help add a little spice to the game. These clubs are lauded for their giving characteristic along with the other abilities they have. Golfers are trying these clubs out and making space in their bags for the new brand of club. They find them useful in situations when they need some forgiveness off the face of a club. The hybrid seems to be taking everyone by storm. Here is how you can use a hybrid golf club. Read on for more information about hybrid clubs. You need to make sure the position of the golf ball is correct. Put the golf ball directly in the center of your stance as if you were putting with a 7 iron club. Grip the iron using the same method that you would if you were using a long iron or wood. Correct your stance. Pull back and swing the hybrid club in the normal way you would any other golf club. When you strike the golf ball, hit it in the same way you would using a short iron club or a mid iron. The hybrid is made to change the impact of this shot into a high, very long result. You can use the hybrid club at any point on the golf course. The hybrid gives nice result from the fairway, and may be your saving grace when you find yourself in the rough. This club is made to relieve you in the rough with greater ease than a long iron would. Strike the hybrid club off the tee. If your club of choice is a fairway wood when aiming or short holes, then the hybrid would definitely impress you. Keep the golf ball positioned in the center of the stance and aligned at the correct place. You want to do your regular run swing and pitch. Especially when pitching with the hybrid club off the green. When you have to put the ball from the fairway with the new hybrid club, make a small dip when you are in back of the golf ball. This will help you hit the ball in a downward way.